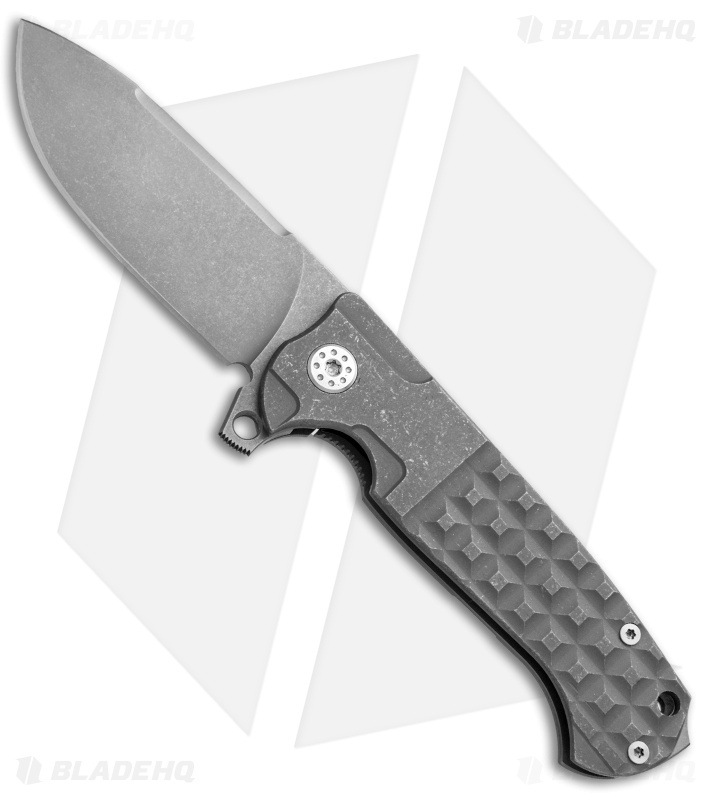 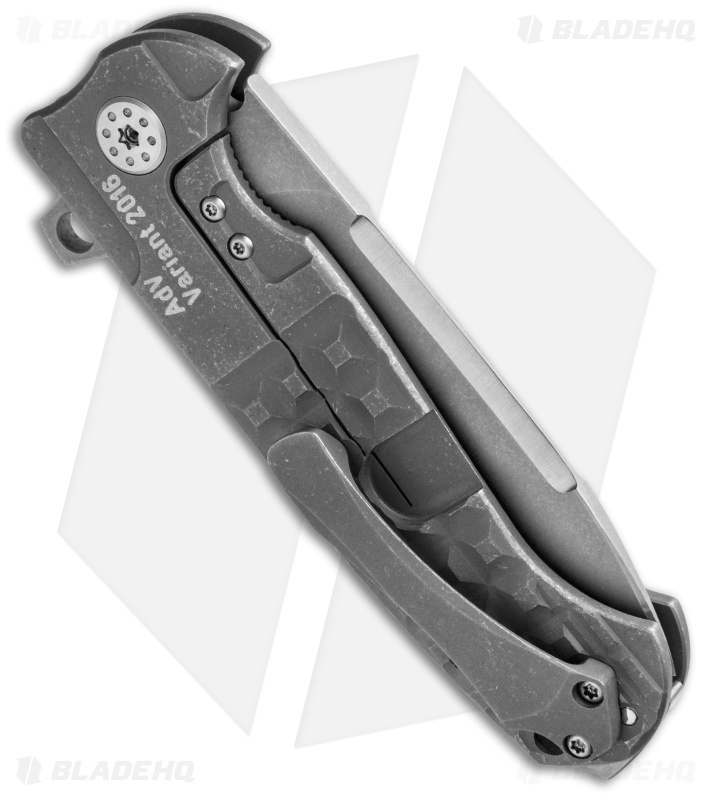 This AdV Spearpoint Custom sports a familiar titanium frame lock handle with a sturdy build that offers a solid grip. It has a spearpoint style blade made from S35VN steel with a bead blast/stonewashed finish. 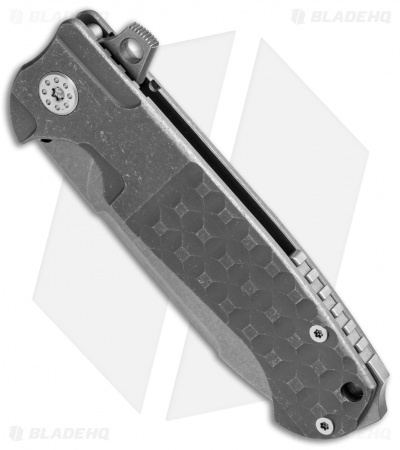 The knurled titanium handle features a darker bead blast/tumbled finish and satin hardware.